Tim Newburn is the founder and Director of Cypress Independent Winterguard, who has been a 7-time WGI Independent World-class finalist since its inaugural season in 2010. 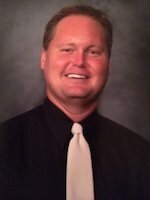 He has also been the Colorguard Director for Langham Creek High School since relocating to Houston, Texas, in 2003. Mr Newburn also serves as the Program Coordinator and drill writer for the marching band. Mr. Newburn enjoyed long tenures with the Bluecoats, Phantom Regiment, Glassmen, Juliana of The Netherlands and most recently the Blue Knights Drum & Bugle Corps where he served as both the Program Coordinator as well as the colorguard designer. He was the Director for the US Army All-American Colorguard and has served on the DCI Task Force as well as the WGI Advisory Board and the Board of Directors. Most recently, he produced segments for the SuperBowl X1 Halftime show with Lady Gaga. Mr. Newburn serves in a variety of capacities to countless programs across the globe. As designer, coordinator, consultant, clinician, or judge, he has enjoyed working with numerous DCI, WGI and BOA finalists over the past decade and a half. He has a Bachelor’s degree in Journalism from Ball State University and is hard at work on a colorguard teaching textbook, The Art of Down-Up-Flat.